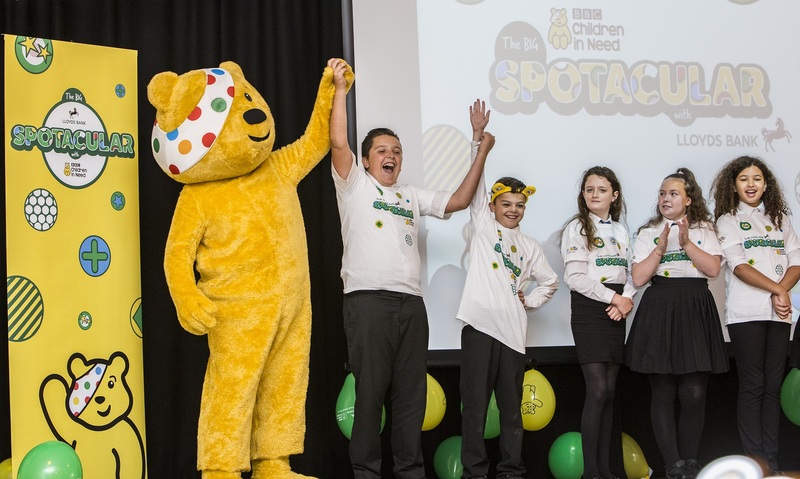 Lloyds Bank is calling on schools across Cardiff to join the 2017 BBC Children in Need schools fundraising campaign ‘The Big Spotacular’ and help once again raise a record breaking total for disadvantaged children and young people in the UK. Last year’s campaign saw local schools including Eastern High School, St Brides Major Church, Cwmlai Primary School, Cyfarthfa High School, Tonyrefail School, Victoria Primary School and Woodlands Montessori Nursery fundraise £136,590 in support of the charity. In the run up to this year’s BBC Children in Need Appeal Night on 17 November, schools across Cardiff are being asked to go Spotacular once again. Schools that register before 15th September via bbcchildreninneed.co.uk/schools will not only receive a free fundraising kit, but they will also be in with a chance of winning an exclusive prize. Nurseries could win an ultimate Pudsey Picnic Hamper, primary schools have the chance to win a school visit from Pudsey Bear, the charity’s mascot, and ten lucky secondary schools will win the chance to learn how to broadcast their fundraising news direct from their classrooms with a BBC Children in Need media workshop. Commenting on the partnership, Jonathan Rigby, Commercial Director of BBC Children in Need, said: “This year we’re urging all the nurseries and schools in Cardiff and across the rest of the UK to join The Big Spotacular and go spotty to help raise money for BBC Children in Need. Those interested in more information about the Big Spotacular fundraising campaign or registering for a The Big Spotacular Fundraising Kit can visit bbcchildreninneed.co.uk/schools.